Enjoy the top 3 famous quotes, sayings and quotations by Adrian Bell. 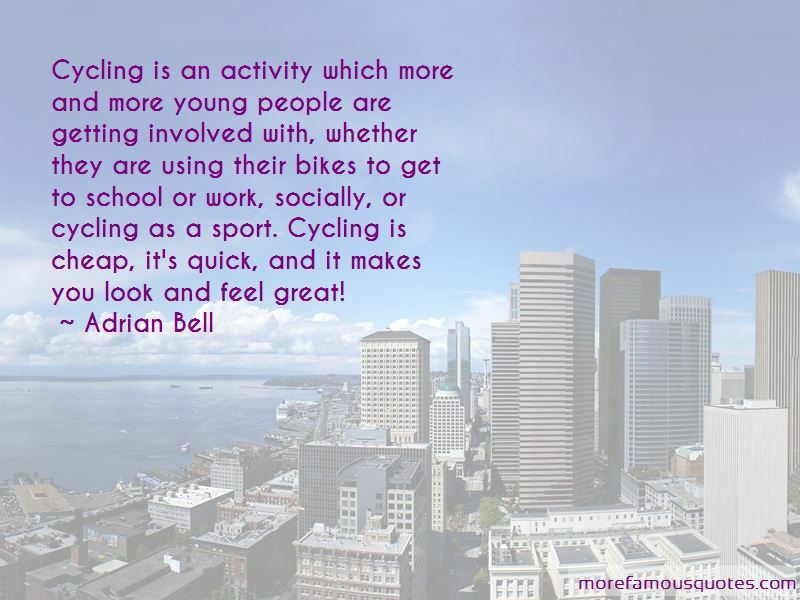 Cycling also offers a sense of independence, of being able to get up and go wherever and whenever you want. That's invaluable. Want to see more pictures of Adrian Bell quotes? 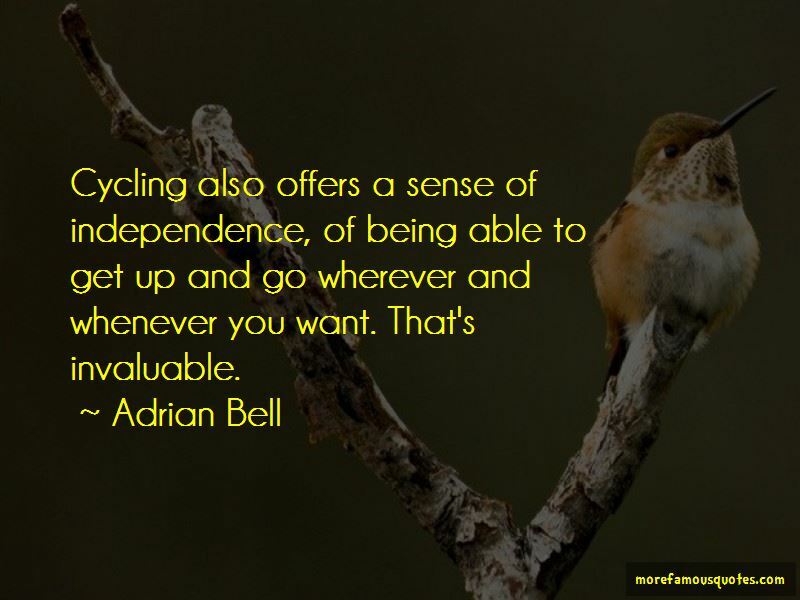 Click on image of Adrian Bell quotes to view full size.